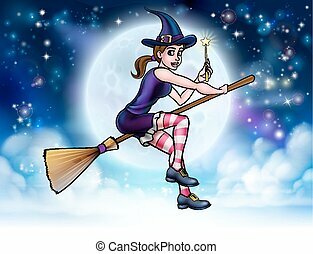 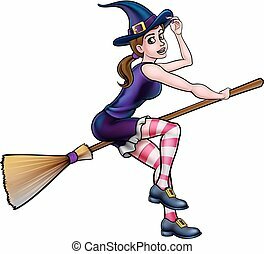 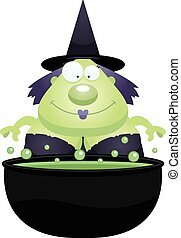 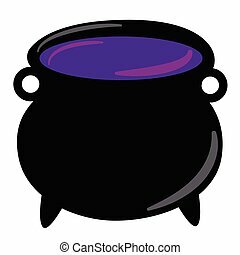 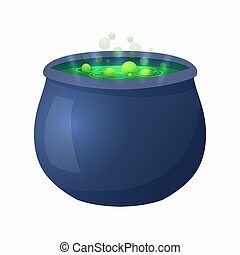 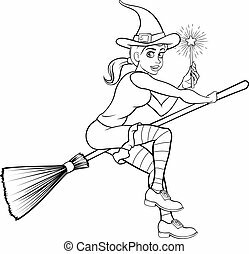 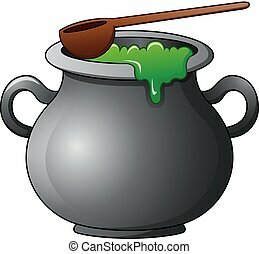 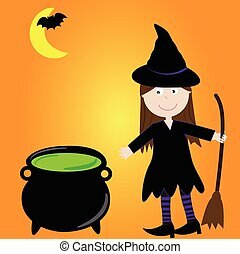 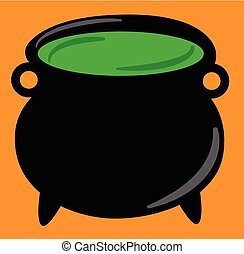 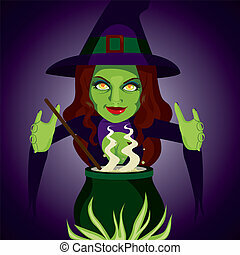 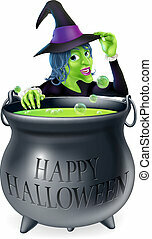 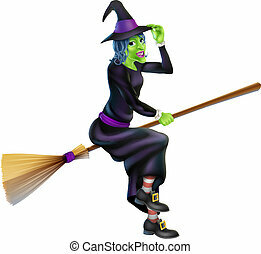 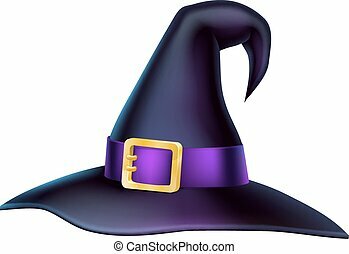 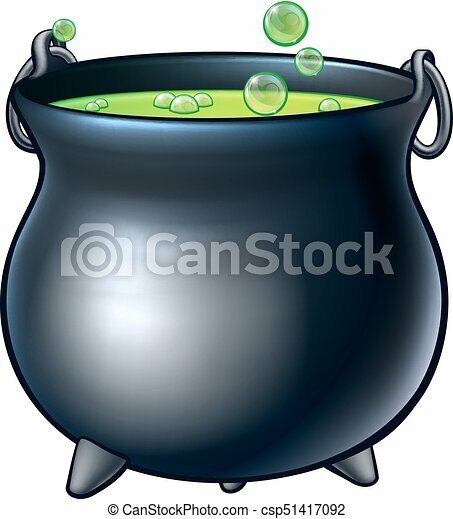 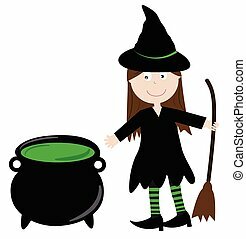 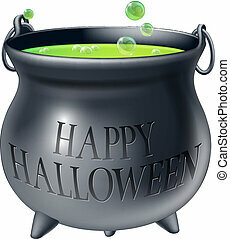 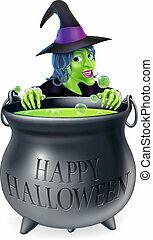 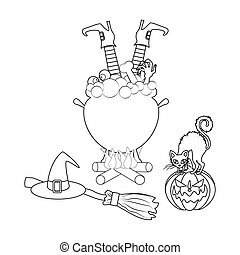 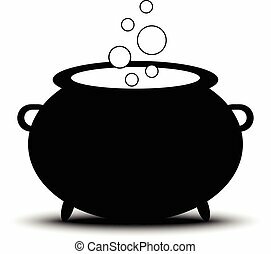 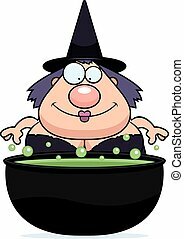 Cartoon halloween witch magic cauldron. 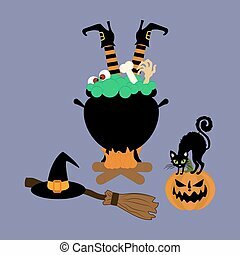 A cartoon halloween witchs magic cauldron. 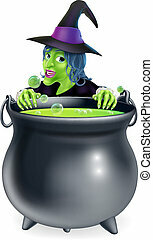 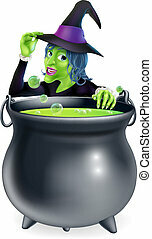 A cartoon illustration of a witch with a bubbling cauldron. 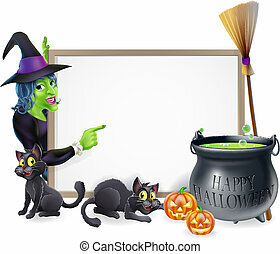 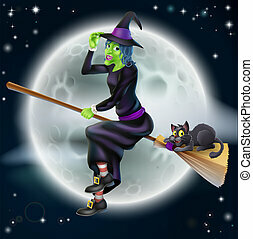 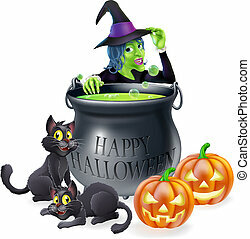 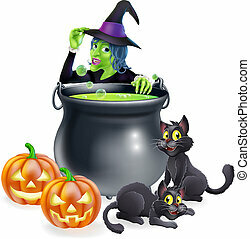 Halloween cartoon witch scene with a witch, her black cats, Happy Halloween cauldron and pumpkins.